SpiBelt : The Beginning - No doubt we are the original small personal item belt (SPIbelt). I invented the SPIbelt fall of 2006, filed the patent shortly after, and incorporated 2007. How: Founder, Kim Overton, was out on a run one day, keys tucked into her bra top, and thought, "there's gotta be a better way!". She went home that night and sewed the very first ever SPIbelt. Year one the company operated out of her apartment and eventually moved into a warehouse where the manufacturing continues. Don't be fooled by imitators - just look for the SPIbelt™ label inside the belt for authenticity. We are the creators of the Original Small Personal Item Belt™, etc. 2007. (Read More). 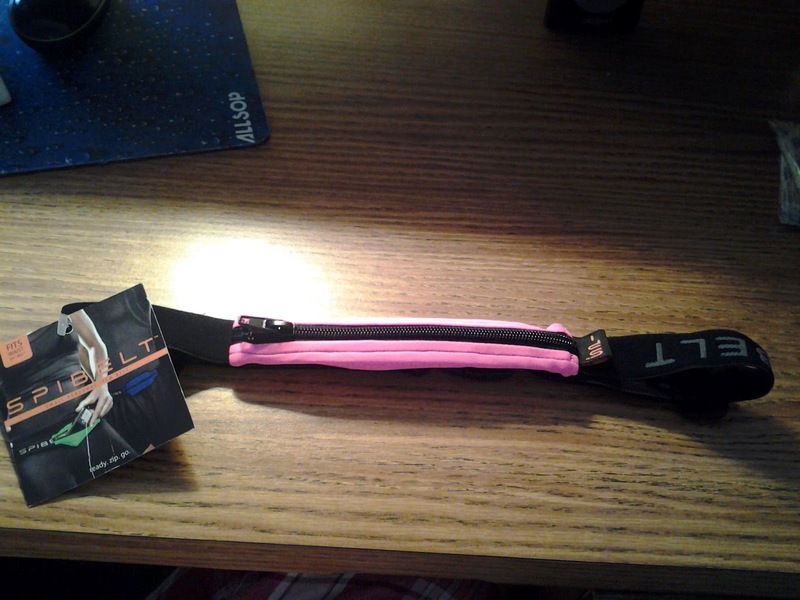 I received the hot pink and black Spibelt (shown in picture) I'm sure all that reads this remembers the horrid "Fanny Packs" when they were in style. I was sadly enough known to use them when I was younger, back when I was not old enough to realize how important a purse is. Thankfully fanny packs are not back in style anymore. But! Spibelt has gave a whole new twist on the dreaded fanny packs and actually made them stylish and cute! (Hooray!) 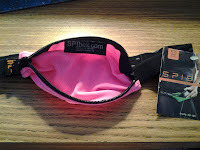 the Spibelt lives up to it's name, the mini on to go workout purse has mini BUT cute features. Fit's waist - 24"-40+". 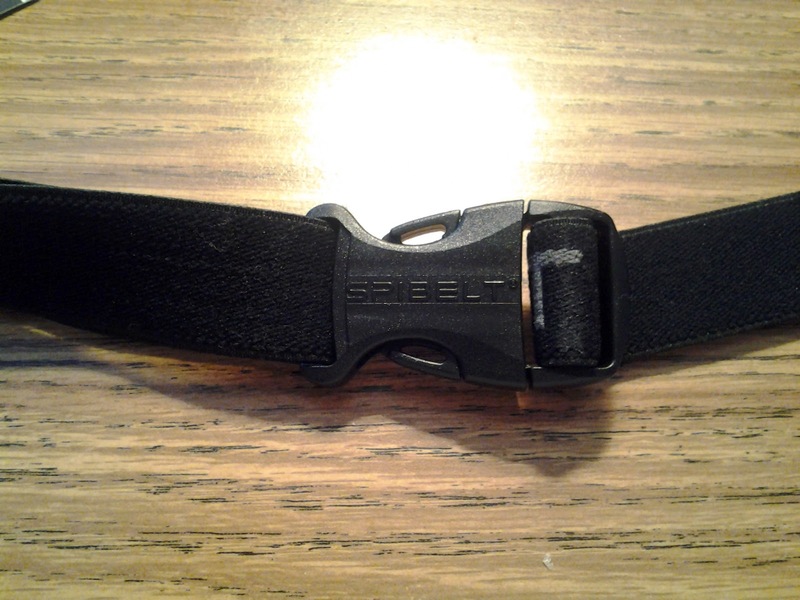 Spibelt has other amazing products such as T-shirts, Spibands, and reflective Spibelts. For it to be so small, which is nice. I was able to put alot of my junk into it. such as my new smart phone, keys, and money. All the important stuff you need when you are out exercising away from home, such as jogging, running, or even walking. You can't really bring that stuff with you if you are wearing sweat pants or stretch pants. Trust me, I have tried it. This little chic' stretchy "fanny pack" will catch eyes, and not because it's big and bulky, but because it has style. with the wide selection of colors you, and you're family and friends will surely find one that you will love! .. I did!. I love the stretch feature of the Spibelt's belt. I have tried other workout accessories that could carry your important stuff while on the run, and they always had a built in strap where you couldn't adjust it. It was frustrating, and it always hurt when you bent over and moved. You are able to move, bend, and well .. breath. with the Spibelt. 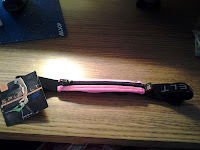 The belt latch is made of a hard plastic and not metal so it won't dig in or pinch you while wearing it. That's always a plus! I love my Spibelt and wear it every time I go walking. It's my main accessories besides my phone now. I don't go anywhere without it. (Picture taken from website) Spibelt has such an amazing variety of Spibelts for adults but they have a cute choice for kids also! a few of my favorite prints is the Rock Star, Pink Camo, Pink Plaid, and Hot Rod. These would come in handy for younger kids who need to carry important information like their phone numbers, home address, alergies, ect. and great for older kids who have lockers who need to carry their locker keys, home keys, cell phones, and lunch money. They will become you're kids second hand when it comes to school field trips, trips to grandma and grandpa, birthday parties and more. all the kids at their school will want one! ♥ I receive no monetary compensation for this review. I was provided a Spibelt to try and give my honest opinion.